12 Best Diet Tips for New Year That Actually Work! We’re heading towards new year, and most people are already making their New Year’s resolution for the upcoming year. A common resolution people make is that they’ll stick to healthy eating and keeping fit. But if you don’t have a good enough diet plan, chances are that you’ll end up feeling disappointed with yourself by the end of next year. The trick to staying on a healthy eating plan is to follow a diet that is both effective and enjoyable. Sounds too good to be true? Well, with the right mindset and scientifically backed up ideas, everyone can eat healthy and lose weight. Want to learn how you can stay on a weight-loss diet in the upcoming year? Then follow these 12 diet tips that are bound to work. The basic concept behind every weight loss is that the number of calories you burn needs to be greater than the number you consume. However, most people find calorie restriction difficult to adhere to. If you’ve tried restricting your calories before but failed, you may want to try calorie shifting instead. Calorie shifting involves eating fewer calories one day and more calories the next. Even studies show that this type of dieting was more effective than calorie restriction. The reason why these diet works is because it confuses your body into increasing your metabolic rate once your calorie intake is higher, and a greater metabolic rate means greater fat burning. By simply increasing the amount of fiber you eat, you could be doing your health so much good while losing weight at the same time. According to an article published in The Journal of Nutrition, most Americans aren’t eating enough fiber. This is unfortunate because fiber has no calories but manages to keep us feeling full. This is also why people who eat more fiber are usually leaner and healthier. To boost your fiber intake, eat plenty of fruits, vegetables, beans, nuts, and legumes. But be careful to not overdo it with the fiber because too much fiber and too little water can easily cause constipation. Starbucks, soft drinks, juices, hot chocolate, energy drinks, and other sugar-sweetened beverages may be what is preventing you from reaching your weight-loss goals. A systematic review published in the British Medical Journal states that regular consumption of these drinks was associated with a much greater risk of type 2 diabetes and obesity. Instead of putting your health at risk and packing on surplus calories, replace these unhealthy drinks with plain water. Water is free of calories, keeps you feeling full, keeps your energy levels up, and supports your overall health. Stick to water as your favorite beverage in the upcoming year, and you should be able to shed some extra pounds. Higher protein diets are now frequently recommended to obese patients because of their significant efficiency in reducing weight. Higher protein diets of 1.2 grams of protein per kilogram of body weight were found to suppress appetite and boost the metabolism. Protein is a macronutrient known to cause greater feelings of satiety and that is also important for muscle growth. If you’re planning to exercise regularly in addition to sticking to a healthy eating regimen, then you need to make sure to eat enough protein to support muscle growth. Remember, the more muscle you have, the more fat your body will be able to burn. The Mediterranean diet is largely based on fruits, vegetables, nuts, beans, whole grains, fish, and olive oil. The diet is often recommended for good heart health, but the diet is also great for weight regulation. A study published in Metabolic Syndrome and Related Disorders found that the Mediterranean diet was a useful tool for weight loss, especially when followed by calorie restriction and exercising. The diet is also known to not induce weight gain when foods are eaten moderately. Sticking to this diet should come off as easy considering that the diet also happens to be one of the tastiest diets in the world. Studies show that eating out regularly is associated with greater weight gain than eating at home. The main reason being that restaurant food tends to be denser in calories than home-prepared meals and the portion sizes are also larger for restaurant foods. Preparing your meals at home will not only reduce the number of calories you eat, but you’ll also end up eating healthier meals. The Johns Hopkins Bloomberg School of Public Health recommends using unprocessed foods for your meals. They also recommend making larger quantities of food you can eat for several days and freezing foods for quick meals at home. A diet high in refined grains is more likely to lead to unnecessary weight gain than a diet based on whole grain foods. This is because refined grains just give you empty calories and because they’re quickly digested, they cause a spike in blood glucose levels. Refined grains, on the other hand, are rich in fiber, vitamins, and minerals, and they take a longer time to digest leading to greater feeling of satiety. Even studies show an improvement in overall health, weight, blood lipids, and inflammation markers in people eating more whole grains. 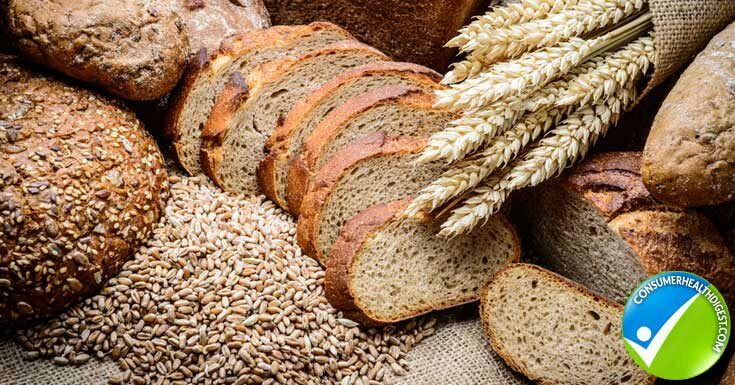 To eat more whole grains, switch to rye bread, muesli cereals, oatmeal, wholegrain pasta, and avoid any type of pastry products made with white flour. Burning calories is best done through exercising, but sometimes we need the help of supplements and foods to give our metabolism an additional boost. 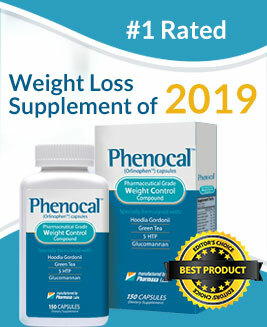 Some substances are known to really help with calorie burning, albeit modestly, and you’ll often find these foods, extracts, and supplements in weight-loss pills. Examples of popular metabolism boosters are caffeine, capsaicin, L-carnitine, green tea, and resveratrol. However, be careful about taking supplements containing these ingredients. Studies show that they can lead to liver damage if taken irresponsibly. Nevertheless, they can give you the boost you need when you reach a weight-loss plateau and help you reach your goals more efficiently. A common mistake people make when trying to lose weight is to avoid fat like the plaque. This behavior is based on the misconception that fat makes you fat. In reality, fat is a macronutrient that your body needs to function properly and that also makes you eat less. Fat is slowly digested whereas carbohydrates are digested at a faster rate. This means that fat from food will make you feel fuller for longer and this can make you eating less. Make sure to choose healthy fat such as omega-3 fatty acids, monounsaturated fatty acids, fats from dairy, and fats from vegetables. However, eat moderate amounts to keep your calorie intake low. Avoid saturated and trans fats from fried foods, margarine, and snack foods. You may have a particular goal in mind for the following year as far as your body image goes. And although its ok to want to strive to achieve a weight-loss goal, you still need to be realistic about what you can and cannot achieve. A study published in the International Journal of Behavioral Nutrition and Physical Activity found that women reporting a greater discrepancy between their ideal body image and their own body image were less successful at losing weight. Staying motivated is tough if your goal is next to impossible so make sure to keep your weight loss goals simple. Medical experts state that we’re able to lose up to 2 pounds of body fat weekly. Anything above that is most likely water weight or even muscle. When you’re on a diet, you need to get enough beauty sleep in order to make that diet function. Sleep deprivation and generally poor sleep can wreak havoc on your metabolism. Studies even show that weight-loss success increases by 33% when you get adequate amounts of sleep. If you have troubles falling asleep or your work prevents you from maintaining a regular sleeping schedule, you may try taking calming herbs such as valerian or lemon balm to calm you dawn and induce sleepiness. Diet and exercise go hand in hand so you should consider an exercise program to go along with your diet plans. Exercising burns calories, boosts muscle growth, and aids in fat burning. Exercising regularly will also keep your heart healthy, your oxygen intake high, and it will also boost your mood. Find an exercise program that you like and make sure to exercise at least 3 times a week for half an hour for best weight-loss results. If you want to make changes in new year, you need to make a great New Year’s resolution. If your New Year’s resolution includes big changes to your diet and health, then make sure to take these couple of tips into consideration and you’re sure to achieve whatever health, weight, or fitness goal you are trying to achieve. How Can I Avoid Gaining Weight When I Go On Holiday?